For decades, countless travelers have been flocking to Miami each year to explore its legendary see-and-be-seen beaches. In recent years, however, the city’s downtown core has been steadily developing its own momentum, growing into a stand-alone destination in its own right. 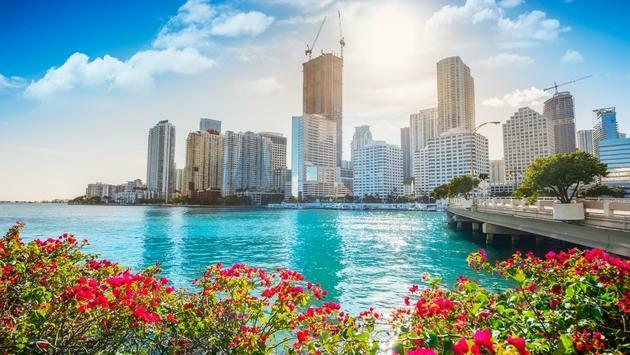 A recently completed five-year study from the Miami Downtown Development Authority found that more than six million people visit downtown annually, making it the second most visited destination in all of Miami-Dade County, behind only the beaches. —Hotel inventory has grown 20 percent in five years – more than 1,300 rooms have been added in downtown. —The data also shows that demand is keeping up with all of this supply. Occupancy rates are stable, average daily rates are up 12 percent, and revenue per average room has risen 11 percent. —The number of overnight stays in the urban core is up 37 percent from 2013 through 2017, growing to 2.4 million. —Downtown Miami doubled its number of hotels between 2000 and 2018, and that trendline is expected to continue as the neighborhood prepares to welcome 11 new hotels that are either planned or now under construction. The new hotels now in the works for the downtown area will result in the creation of nearly 4,000 more rooms. Development authority officials say they’re also seeing a diverse set of offerings enter the market—everything from premium luxury properties like the Waldorf to limited service options like Yotel and citizenM. So, what’s fueling all of the continued confidence among developers? In addition to the ongoing strength of hotel performance amid a growing market, developer optimism is linked to such future demand drivers as newer, larger ships slated to come to PortMiami and a new 500,000-square-foot expo center at Miami Worldcenter, according to development authority officials. The survey’s findings also coincide with a period of dynamic change in and around Miami’s urban core, which is benefitting from surging population growth, new cultural and entertainment venues, the debut of retail and dining destinations, and the launch of new transit options. 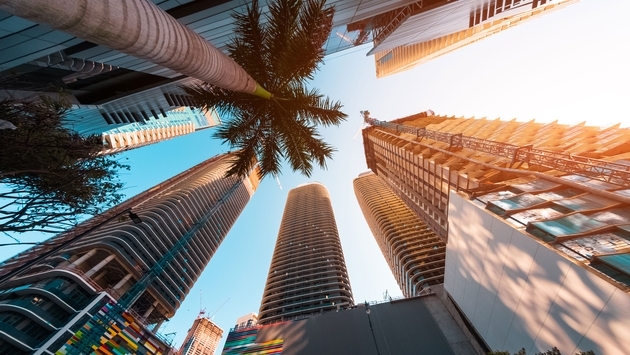 “Downtown Miami’s emergence as a vibrant 24/7 residential and commercial neighborhood over the past decade has been one of the country’s most dramatic revitalization stories, and that growth is fueling a surge in the number of people visiting our urban core,” said Miami Downtown Development Authority Executive Director Alyce Robertson. As Robertson indicated, downtown Miami has welcomed a slew of attractions and cultural offerings in recent years. Highlights include the Perez Art Museum Miami and the Frost Science Museum in Museum Park and a retail, dining, and entertainment complex known as Brickell City Centre. Meanwhile, Miami’s trendiest shops, restaurants, and bars are opening in and around downtown. Recent additions include Komodo, Casa Tua Cucina, Lost Boy, Mama Tried, Jaguar Sun and Novikov. The Florida city also hosts a variety of major events such as Miami Art Week, the Fitbit Miami Marathon and the Miami Film Festival, all of which continue to draw visitors to downtown in droves. Next year’s Super Bowl LIV will feature an immersive village in Bayfront Park, creating a central hub for fans visiting from out of town, and the NFL has selected the InterContinental Miami as its headquarters hotel during Super Bowl week.